“My grandfather was a furrier’s apprentice and became a tailor. He was conscripted into the czar’s army in 1902, I believe, but he punctured his ear drum to fail the Medical. (They used to send all the Jewish conscripts up to the front. This was the Russo-Japan War.) I am not sure how he met my grandmother. She was from somewhere in Bessarabia but somehow they ended up in Harbin and eventually moved to Shanghai where my mother, Reva, was born in 1922. My grandmother died in the flu epidemic of 1926. Grandpa Moishe worked as a tailor for a while but it was my mother who left school at 16 to support her father who was living by that time in Hongkew, a very poor part of Shanghai. Mum met my dad, Eric (Gabriel né Gabruiller), when she was 18 and they were married during the Japanese occupation in 1942. They were both very active in the Betar Movement (a revisionist Zionist youth movement founded in 1923 in Riga, Latvia) and the Jewish Volunteers. There was a lot of anti-Semitism even then in Shanghai between the Jewish boys and the Red Russians. My dad was a very fast runner and an excellent shot (with a rifle) so they often sent him around the corner to taunt the Russians and once dad had lured them around to where the Jewish boys were waiting. there was a quite a kerfuffle! I wish I could have seen it. “My parents moved to HK in 1947 and managed to get Grandpa Moishe out out of Shanghai in the last boat. That was in 1949. 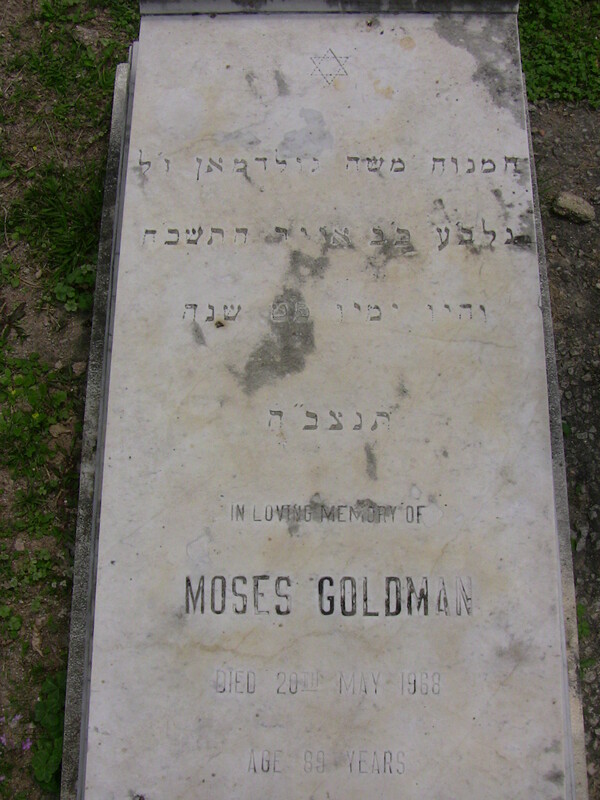 They had a Jewish friend in the British civil service who helped a lot as Moishe didn’t have papers. Eventually was naturalized as a British citizen. Moishe only spoke Russian and Yiddish and could barely read and write, but he was a lovely gentleman and lived with us first in Kadoorie Avenue, then Braga Circuit, and then Clearwater Bay when my parents bought a flat. He never really spoke much about his youth.